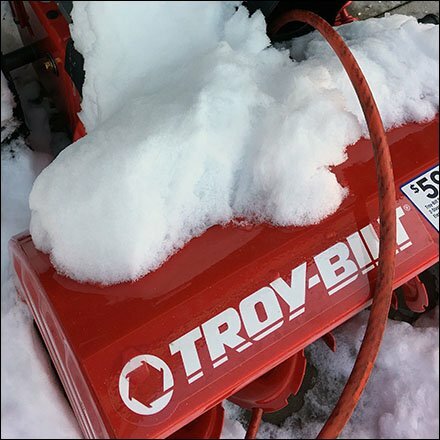 Though the latest snow was several days ago these Troy Snowblowers Snowed In For Winter remain lonely, forgone and ignored. Sadly Spring Tractors and Power Mowers were in a sheltered on-deck circle area off camera to the right. I am not sure snow covered snowblowers are an inspiration for shoppers. But to be fair, nearby auto dealers were not dug out either, nor had snow cleared from the cars. These Troy Snowblowers Snowed In For Winter seen at Lowes.